Planners have always been the ideal solution for managing time. Without them we can easily lose track of our day. But they can be used for even more than navigating our way through meetings, appointments, tasks, and goals. The FC Studio Weekly Wire-bound Planner is designed to keep track of all those things, but it also has room for inspiration, memories, and creative journaling. Today, planners are becoming a hybrid of your journal, scrapbook, and calendar—a one-stop memory keeper to showcase each aspect of your life. Just in time for summer, we’ve given FC Studio a total refresh with new colors and designs. Now you can choose from dots, floral, or geometric patterns on your cover and enjoy a bevy of color throughout your planner all year long. The FC Studio Planner combines the creativity of scrapbooking with our time-tested planning features, giving you a beautiful canvas to organize and record your daily life. Its two-pages-per-week layout gives you space to plan each day of the week, a to-do list, and space for your inspiration and memories. With a new design every month, inspirational quotes, and plenty of extra notes pages, you can capture all of life’s details as they happen. Each FC Studio Planner includes a bound-in folder, bound-in plastic zipper pouch, page finder, perpetual calendar, and two pages of event stickers. Along with its three different cover design options, you can also add your name to the front cover, upload one of your favorite photos to the back cover, and add your choice of a blank or lined notepad designed to match your cover choice. You can also add your name on each page for no extra charge. That’s only the beginning. 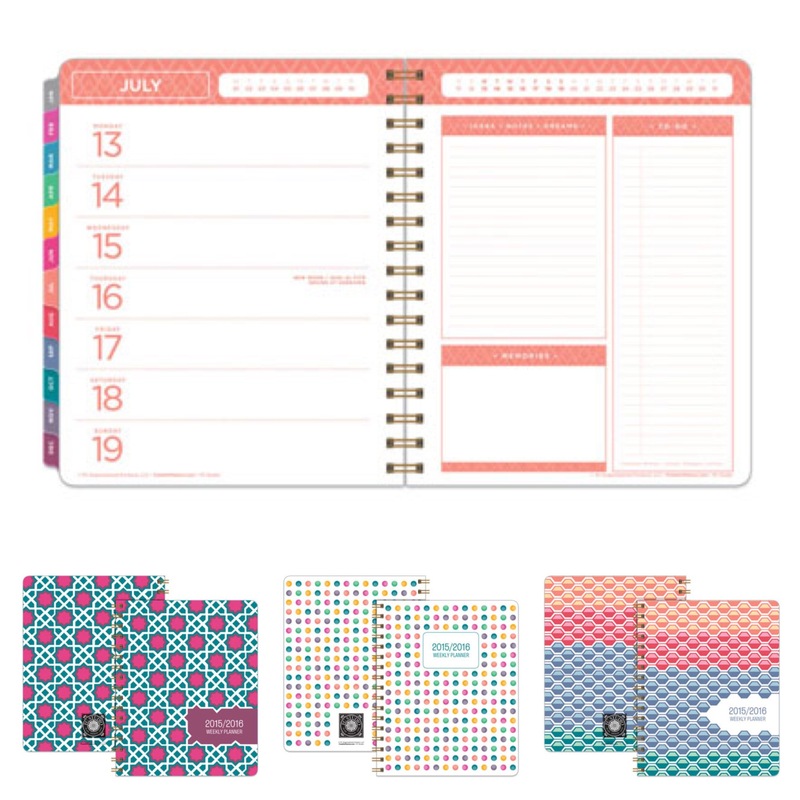 With our planner accessories you can embellish your planner, add photos, journaling cards, and more. Visit our FC Studio Planner page for more fun, creative options. Click here to flip through a few of the new FC Studio pages!